BBSAI offers members an opportunity to communicate with each other via an exclusive members-only Google group. The group’s purpose is to encourage and facilitate the free flow of communication between BBSAI members and Board of Directors. We welcome all members to participate in this opportunity to share ideas, ask questions, and voice opinions. 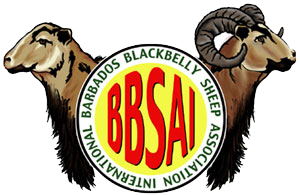 We anticipate that most of the discussion will center around questions and topics regarding the BBSAI — registration policies and procedures, programs, history of the American Blackbelly and Barbados Blackbelly breeds, breed standards, etc. This is not intended to be a place to advertise sheep for sale, nor it it intended to be the place to ask general questions about raising sheep, although we will try to be as helpful as possible in that area. The BBSAI Board members will serve as moderator for this listserve, and our Board role as moderator will simply be to promote the free flow and exchange of ideas, while encouraging members to treat one another with courtesy and respect at all times.